An Indian-American woman has been elected as the president of the powerful student’s body of the prestigious Harvard University. 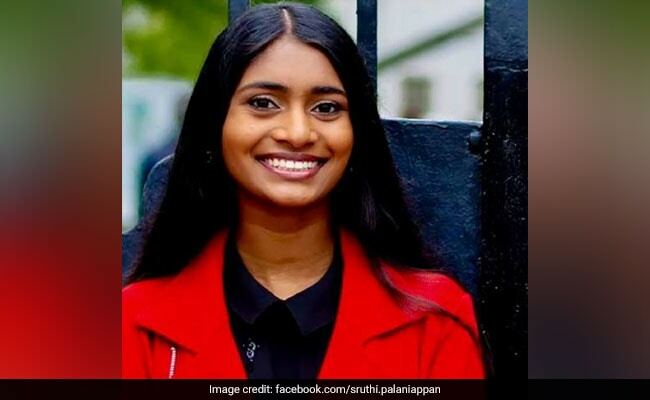 Sruthi Palaniappan, 20, whose parents migrated to the US from Chennai in 1992, was elected as president of the Harvard University Undergraduate Council. Her running mate Julia Huesa, 20, was elected as vice president, according to an announcement by the Undergraduate Council Election Commission. Ms Palaniappan said that Ms Huesa and her planned to work on improving the Council’s communication with the student body in their initial days in office. “I think from the onset, better structuring the way we communicate with students is something that we need to already set the tone and plan for,” she said. “I think we’re going to work on it before we even leave for break and just get off the ground running,” she told Harvard Crimson, the student newspaper of the varsity. Ms Palaniappan was the youngest delegate at the Democratic National Convention in Philadelphia in July 2016. According to the report, Ms Palaniappan and Ms Huesa garnered nearly 41.5 per cent of the votes as against their nearest opponent Nadine M Khoury and Arnav Agrawal, who received 26.6 per cent of the votes. They ran their campaign under the slogan “Make Harvard Home”. The duo, a long-time member of the Undergraduate Council, are scheduled to take over from the outgoing president Catherine L Zhang ’19 and vice president Nicholas D Boucher ’19.